Carlton-Bates has over 60 years of expertise in sensors. We’ve built solid relationships with industry-leading suppliers such as Pepperl+Fuchs, Omron, Sensata BEI, Bourns, Molex and Turck. With over 10,000 sensors on our shelves ready to ship, we have what you need to meet the most demanding application needs. 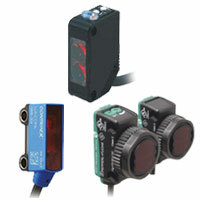 The best-selling type of sensor at Carlton-Bates is photoelectric sensors (or photo-eyes), which are used extensively in industrial manufacturing. We have through-beam, retroreflective, infrared, and diffused sensors for your application needs. 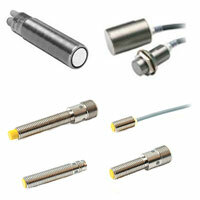 Proximity sensors detect objects without direct contact and require almost no maintenance. 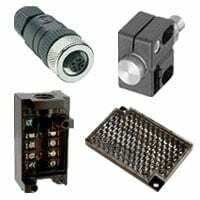 They convert movement or presence into an electrical signal. Some models are resistant to heat, impact, water and/or chemicals to meet your toughest industrial requirements. 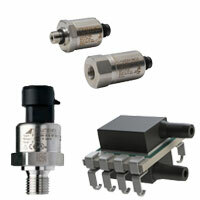 Temperature sensors and pressure transducers cover a wide range of industries and applications. Whether you are building therapeutic hospital beds, railroad-crossing arms, chromatography units, refrigeration compressors, or irrigation pivot controls, we can find the right sensor for your application the first time. All engineers and maintenance technicians need a cordset, reflector or mounting bracket from time to time. That’s why we keep a wide selection of sensor accessories in stock. Let us help you find exactly what you need to keep your sensors working smoothly.